Sean has 32 years of experience working for the Commonwealth Government as a senior leader across legislative services, information technology, and management of various boards. Specifically, due to his strong focus on governance and facilitation of committees, Sean has developed exemplary executive leadership skills. With an extensive background in property maintenance, building and construction Sean embarked on his journey with Stratacare in a number of projects consulting in both facilities and contracts management. He swiftly developed a keen interest in property development and strata management. 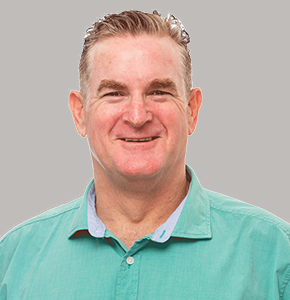 As an expert facilitator and highly regarded business manager, Sean understands the evolving needs of each body corporate. His cultivated interpersonal skills ensure owners and committee members feel at ease knowing they are in great hands. Sean manages the Body Corporates of a wide-ranging portfolio including mixed-use, residential and commercial schemes. Facilitation of all Body Corporate meetings and coordination of administrative matters are among some of his daily tasks. Sean and his family enjoy holidaying together and he has a passion for sailing. Sean is a keen sportsman of all genres also.